With Cam Link, easily connect your DSLR, camcorder, or action cam to your PC or Mac, and use it as a webcam in your favorite apps. 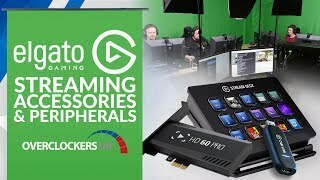 Superb quality up to 1080p60 keeps your stream professional. Ultra-low-latency technology gets you up and running on your favorite platform in no time. And your camera has never felt more powerful. Playing games, unboxing gadgets, mixing beats - whatever makes your world spin - Cam Link puts it live on your computer for effortless mass distribution. More links for "Cam Link USB 3.0 for PC and Mac (10GAC9901)"